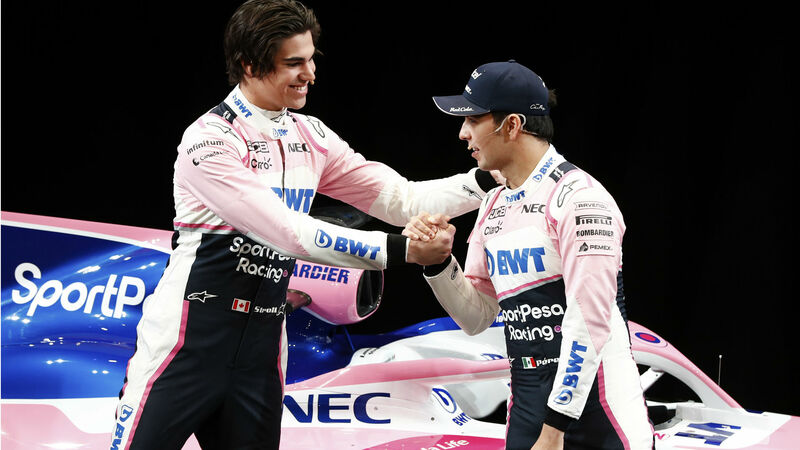 Sergio Perez is aiming for the "next level" as Racing Point prepare for their first full season in Formula One. Stroll's son Lance has been drafted in from Williams for the new season, while Perez has retained his seat and says the team is ambitious about what can be achieved. "I'm really excited to stay with this team as we begin the new era," he said. "We have stability and strong leadership at the top, which is important because it means I can simply focus on the driving and performance. "I want us to be the best of the rest once again. I believe in this team and I think we can achieve great things together. "The targets are extreme. We really want to go to the next level. Now is the time to show what we can really do, now that we have all the tools in place." Team-mate Stroll, who achieved a podium finish at the 2017 Azerbaijan Grand Prix, added: "I can see how much potential we have in this team and there's an incredible buzz in the factory and so much enthusiasm. "I always aim high, so I want us to be competitive right from the start. It's way too early to know how we compare to the other teams, but right here today I believe we should be fighting for points in every race. "My goal is to get back on the podium in 2019 as well. I've seen what this team achieved in the past and it's a real credit to the people involved. I'm looking forward to making our own history."